As I wrote about in the ideal big guy mountain bike there's now a number of options for strong, sturdy and affordable bikes that suit folks of larger stature. I sold my Kona Hei Hei mountain bike in April; it was not from this genre. When I bought the Kona, I was still occasionally racing (although not competitive by any means) and wanted a bike that was efficient and agile both up and down hills. The Hei Hei was great, but it was meant for the version of me from 10 years ago. It was time to break out of my cross country rut. 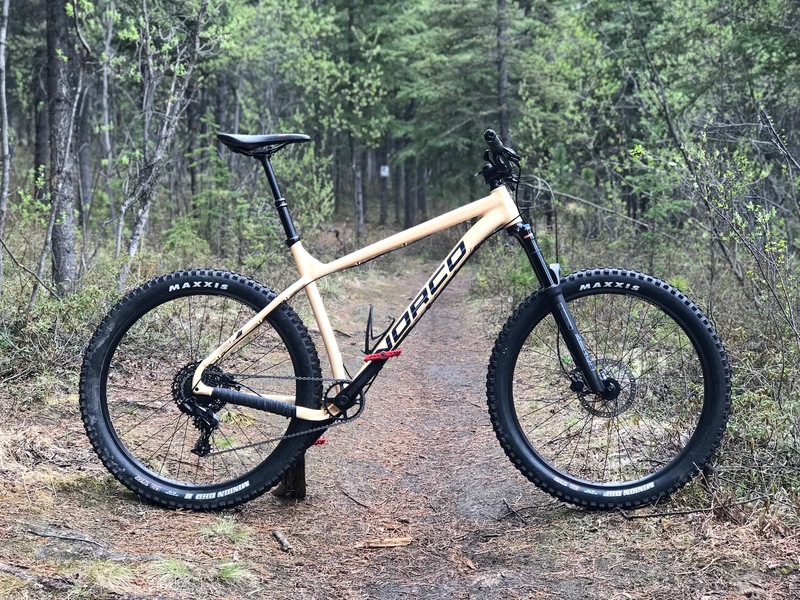 After selling the Hei Hei, I ordered a 2018 Norco Torrent 2 HT in size XL from Icycle Sports in Whitehorse, Yukon. The Norco Torrent HT is a very different bike from the Kona Hei Hei. Whereas the Hei Hei was a sharp, thin knife on singletrack, the Torrent feels more like a sledgehammer. That's not to say it can't go fast, but it takes more effort to get the bike up to speed and hold it there. And that's okay; it's where I'm at these days with mountain biking. I want a bike that's sturdy, reliable and confident in all terrain rather than something that leaves me feeling worried or concerned. What's amazing about the Torrent is how much value and spirit Norco has baked into the bike. 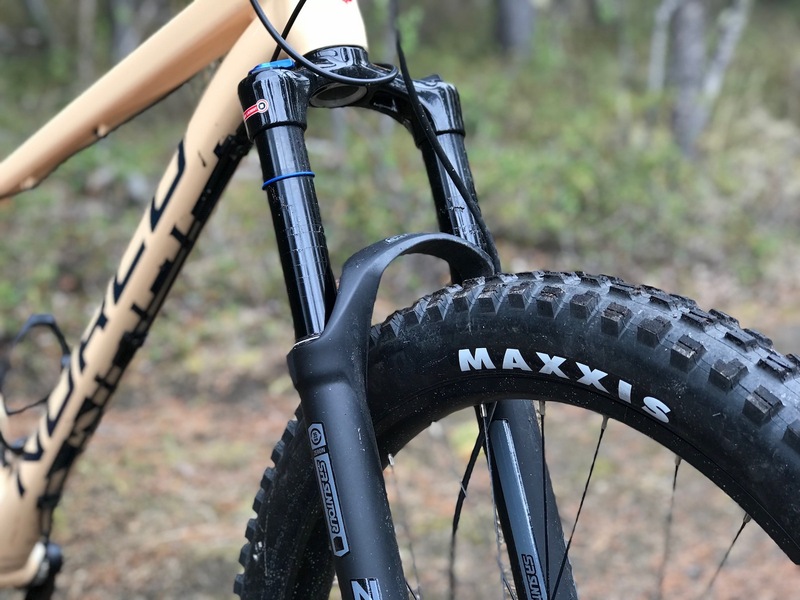 For just under CAD $2,200 I have a beefy frame, wide wheels and tires, a torsionally stiff and plush fork, plus components that simply work, including my first-ever dropper post. The Torrent loves to drop into holes, launch drops and steamroll over roots and rocks. Have you ever heard someone say using a sledgehammer wasn't fun? Exactly. While most mountain bikes come with either RockShox or Fox suspension forks, the Torrent arrives with a SR Suntour Zeron 35. I didn't know much about this fork when I bought the bike as reviews are very hard to find. After bringing the bike home, I even dug out my air shock pump to adjust its air pressure. Oh wait, this is a coil spring fork! It took a few rides for the SR Suntour Zeron 35 to start feeling smoother but now that it's more worn in, the fork is impressive. 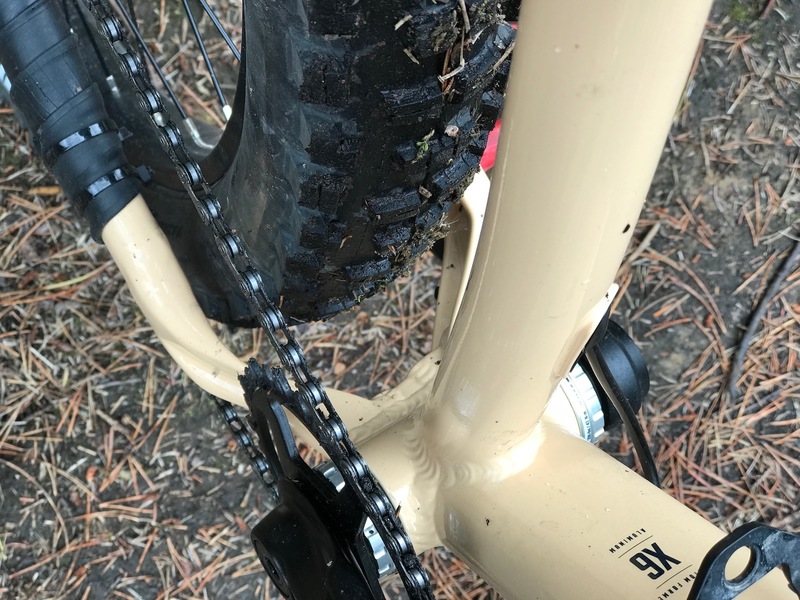 The Zeron is very responsive on small to medium sized obstacles and while not as plush top-to-bottom as a RockShox Pike, it gets the job done. That said, even after hammering it pretty hard through numerous fields of rocks, I still can't get full travel out of the fork. I may take it back into Icycle and see what the mechanics say. I'm also loving the plus wheels: Maxxis Minion DHF and DHR 27.5" x 2.8" tires matched with Alex MD-35 rims. I'm used to fiddling around with air pressure from riding fat bikes, so that's no big deal. I think I'm almost there with 19 lbs. of pressure in the front tire and 22 lbs. in the rear. I tried running them both lower, but I struck the rim a few times and returned to more air pressure. All in all, the 2018 Norco Torrent 2 HT is a fantastic big guy mountain bike. It was within my budget and has so far hit all of my points for a tough and dependable bike. Here's looking forward to the rest of summer on this big monster.